German politician Alice Weidel walked out on a live televised debate on Tuesday following remarks that she should distance herself from far-right figures in her party. Weidel, from the anti-immigrant Alternative for Germany (AfD) party, exited the debate airing on public broadcaster ZDF live on air. The candidate in this month’s election could be seen gathering her papers and walking away as the audience applauded the remarks from Andreas Scheuer, a member of Merkel’s conservative bloc. In January, Hoecke called for a “180 degree turnaround” in the way in which Germany was atoning for Nazi crimes. 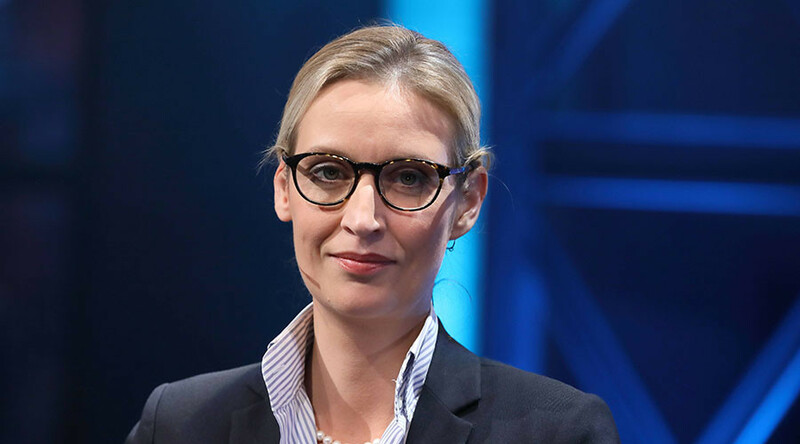 Weidel took to social media to claim she was treated unfairly on the debate, attacking ZDF moderator Marietta Slomka. “This is not worthy of a public service broadcaster. Mrs Slomka's behaviour does not serve the democratic process, but distorts it and is deeply unprofessional,” she said. “Ms Slomka shouldn’t act out her personal animosities in the television show,” she added.